On-site search engine optimization (SEO) is, in a general sense, optimizing the pages of your website to adhere to the guidelines of search engines, like Google and Bing. Search engines want each page of your website to have a proper title and description, in the code that makes up that page and in the visible content, so they know whether or not that page will be useful to their searching users. There are also other elements of each page, that they want to be properly coded, for the same reason. Images, for instance, should contain alternative text, for users with visual difficulties. In short, search engines don’t care about your website. They care about their users. 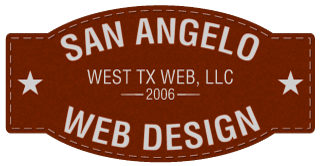 Every website San Angelo Web Design builds includes basic search engine optimization. If you’re interested in more advanced optimization, we offer a plan, that includes advanced onsite SEO, at $30 per page, per month, and is generally geared toward websites that we haven’t built. You can still spend money on advertising, such as Google Adwords, and, if you’re willing to spend enough, your website will always be at the top of the heap. As soon as you stop spending that money, though, your website will return to where it was, before you started advertising. Our methods, in the long run, will yield better results. Our methods are known as “organic” SEO. That refers to everything stated above, with regard to the actual content of your website. We’ll never “guarantee” anything, with regard to any particular search engine. We don’t own them, so we have no control over how they operate. 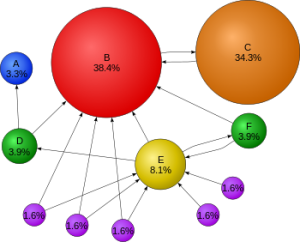 Our knowledge of how search engines work is what’s important.